The Tourist Information Office in High Street is a useful starting point if you are visiting the area. 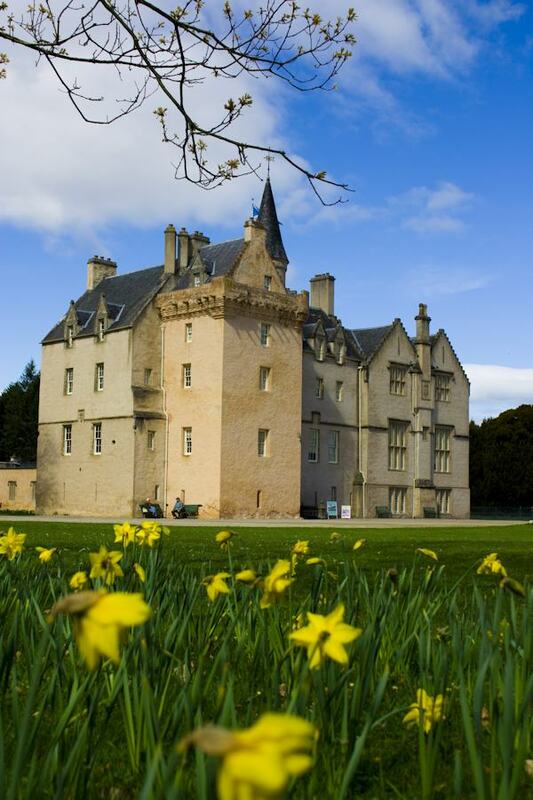 There are details of local events and tours, plus many free leaflets about nearby attractions. 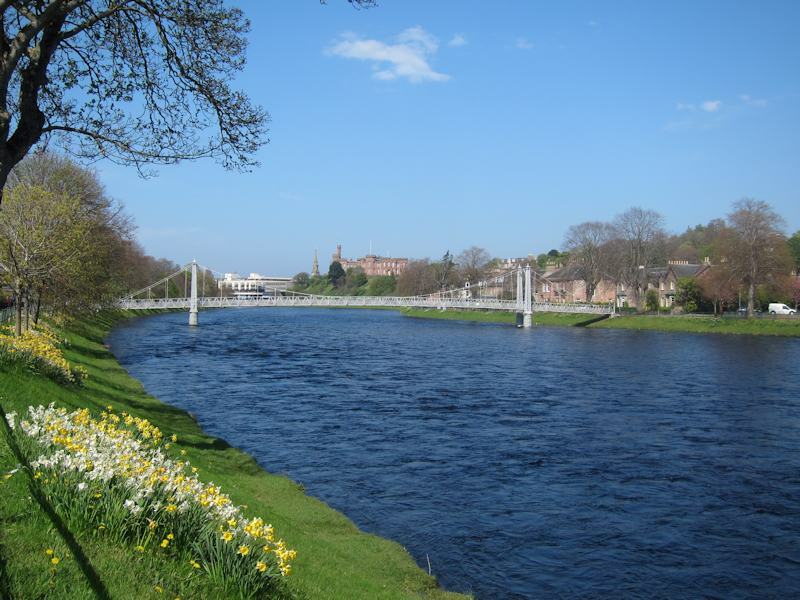 Why not take one of the guided walking tours to explore the historic city centre of Inverness? Guided tours of the historical interior of Inverness Town House are available on Thursday afternoons (booking essential via Inverness Museum and Art Gallery). WiFi is available in many places around the city centre (hotels, pubs, restaurants, etc). 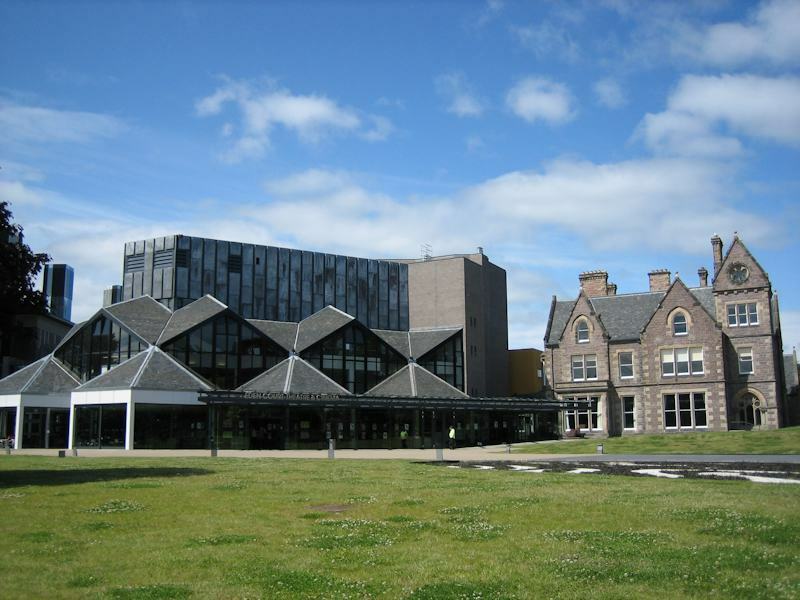 Ness WiFi is a council scheme offering free WiFi around the Victorian Market Place, Eastgate shopping centre, railway station and bus station, Spectrum Centre, Inverness Castle, Museum and Eden Court. 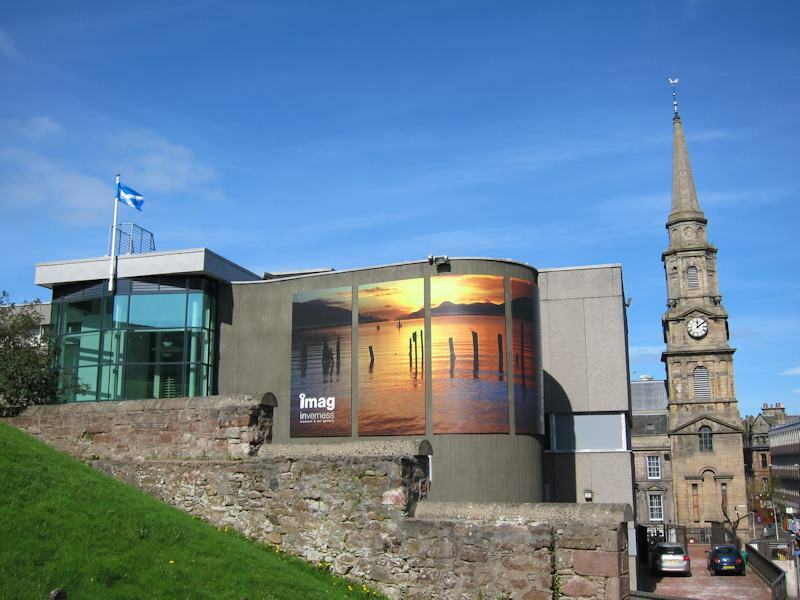 Inverness Museum & Art Gallery is free to visit and has lots of local artefacts and information, as well as touring exhibitions, plus a small cafe area and gift shop. 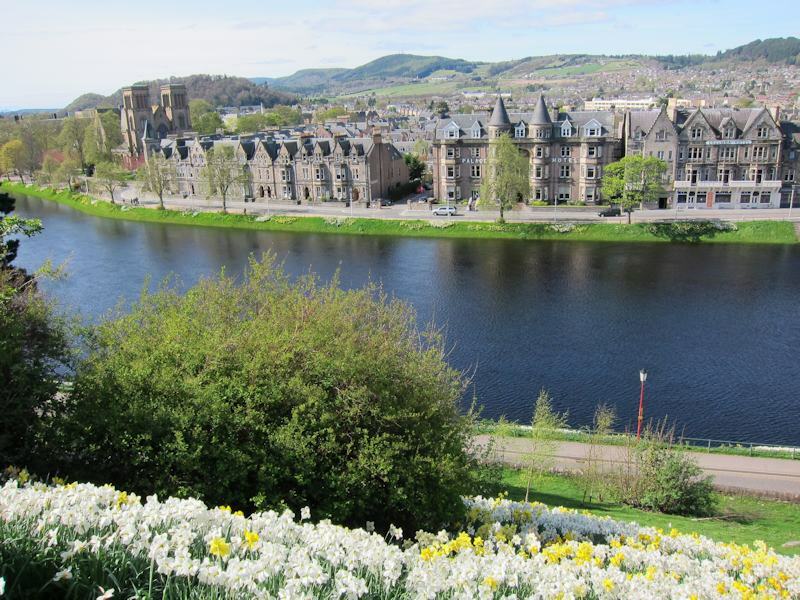 Inverness Castle was built on the site of an earlier fortress in 1835 and sits on a low cliff overlooking the river. Today it houses the Sheriff's Court, but you can visit the viewpoint at the top of the castle tower (95 steps) for magnificent views over the city. Opening hours: April, May, September, October 11am to 6pm daily, June 10am to 7pm, July and August 9am - 8pm. Over the winter (November - March), the tower is generally open Friday, Saturday, Sunday and Monday from 11.30am - 4pm (closed Tuesday, Wednesday & Thursday). Saint Andrew's Cathedral sits on the riverside almost opposite the castle. It has no spires as the funds ran out before they could be completed. The font is a copy of Thorwalden's font in Copenhagen Cathedral. Look out for the Russian gold icons. The teashop in the old schoolhouse is open from Monday to Saturday 10.30am to 3.30pm in the summer months. Walk along the river banks from the castle and you'll find the Ness Islands where you can escape from the hustle and bustle of the shops. Cross the river on the little bridges and you can visit Bught Park. Close by between the ice rink and the sports centre/swimming pool is the Botanic Gardens - a sub-tropical horticultural extravaganza with small waterfall, fish and alsorts of plants/trees (open all year round, free admission). Continue into the children's play area, crazy golf, miniature train and boating lake in Whin Park. If you walk further you can go along the picturesque Caledonian Canal heading towards Loch Ness. This is the start of the walking trail called The Great Glen Way which goes all the way to Fort William on the west coast. Inverness is a popular destination for fans of Diana Galbadon's Outlander books and the TV show. Inverness Outlanders have an audio tour tour of Inverness and surrounding area which can be downloaded for free via Geotourist. Loch Ness is one of the most popular places to visit in this part of the Highlands. Take a guided coach tour, drive around the loch yourself or go on a boat trip from Inverness, Drumnadrochit or Fort Augustus. The atmospheric ruins of Urquhart Castle are open to the public all year and there are several other local attractions including the visitors centres about Loch Ness and its famous monster. For a scenic drive, don't forget the less-travelled southern shore of the loch or head west into the beautiful scenery of Glen Affric. There's lots more to explore around Inverness including Culloden Battlefield (seen here on the left), the Clava Cairns, Cawdor Castle, Brodie Castle, Fort George, the Black Isle, Aviemore, the Cairngorm mountains and historic towns such as Nairn, Elgin, Beauly, Dingwall and Strathpeffer. Dolphin spotting boat trips are another popular excursion. 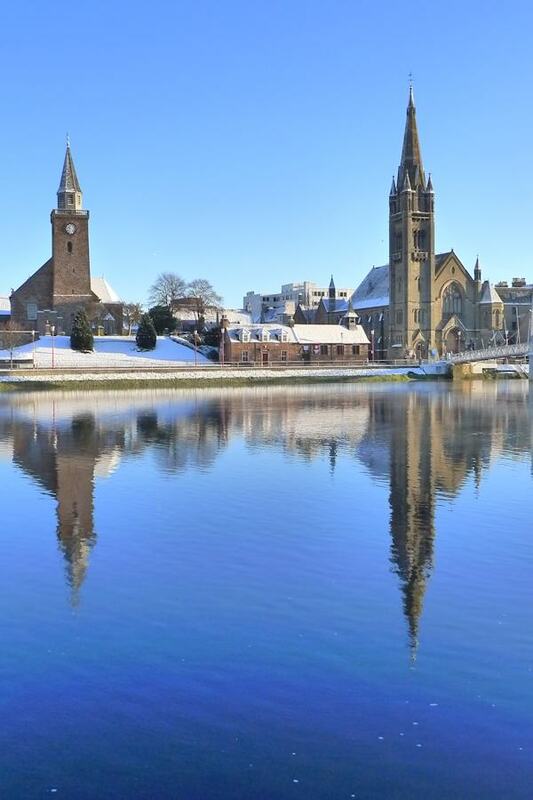 Inverness is an excellent base for touring if you wish to go further afield - Fort William, the Isle of Skye, Wester Ross and Orkney are all accessible on day trips. See our Transport & Travel Page for info on guided coach tours if you don't have a car. 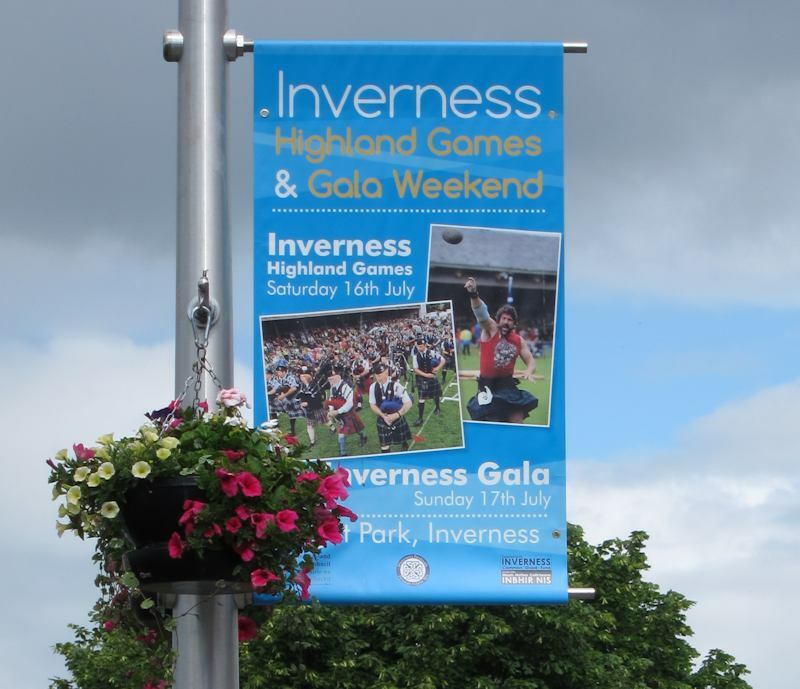 In July and August, there are various events for tourists in Inverness city including performances of Highland Dancing and the Inverness Legion Pipe Band. You are also likely to see a piper or two busking in the streets of Inverness and sometimes other musical entertainment around the Eastgate shopping centre. Most nights there's traditional Scottish music at Hootananny in Church Street and some of the other pubs in the city centre. For ceilidhs, try Hootananny on Saturday afternoons and The Phoenix Ale House on a Sunday afternoon. See the notice board in the tourist information office. Concerts and other spectacles take place at Eden Court Theatre near the cathedral on the river. A multi-screen cinema is situated just outside the city off the main road heading to Nairn & Aberdeen. The Farmers' Market is usually held on the first Saturday of each month, with stalls of local produce (meat, fish, fruit, vegetables, cheese, homebaking) in the Eastgate pedestrian area of Inverness city centre. 13 April: Whisky & Gin Festival - food, music and drink! Inverness will be hosting the Royal National Mod from 9 to 17 October 2020 including a Torch Light Procession on the 9th and Massed Choirs Procession and Show at Inverness Castle on the 17th.